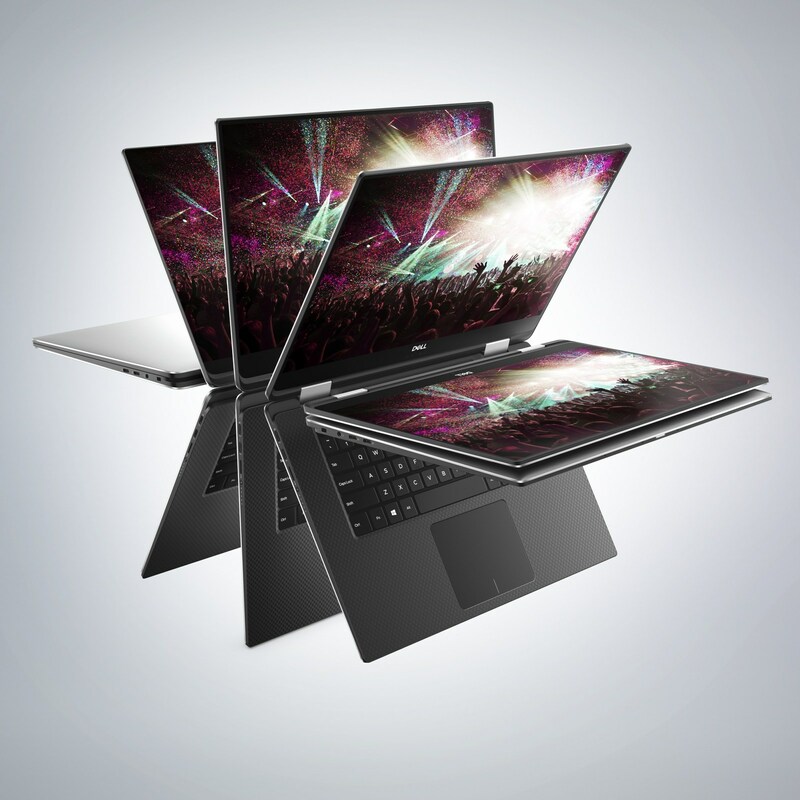 The new XPS 15 2-in-1, unveiled at CES 2018 and the recipient of more than 34 "Best of CES Awards," is now available for purchase worldwide (since March 29, 2018). It is a high-performance 15-inch 2-in-1 with a stunning InfinityEdge 4Kdisplay in an impossibly slim 16 mm form, thanks to an extraordinary processor and graphics architecture, and unique thermal design. A best-in-class 4K display with vivid color delivers a stunning visual experience. The world's smallest* and thinnest* 15-inch 2-in-1 is innovation at its finest. In addition to worldwide availability, Dell is also announcing a new brushed onyx color option for the new XPS 15 2-in-1 to complement the original silver option, that will become available starting May 2018 on both Dell.com and BestBuy.com, and in select Best Buy stores.